It might seem a long time until summer, but the countdown to the 2016 Accrington Food and Drink Festival has well and truly begun. Last year’s revamped and revitalised event was one of Accrington’s biggest crowd-pullers, with more than 10,000 people filling the town centre for a day filled with flavours and family fun. Now planning is well under way for this year’s event, to be held on Saturday June 4th. Many of the same ingredients will help make a recipe for success, including an array of regional stalls showcasing the area’s finest food producers and retailers, live cookery demonstrations with a celebrity chef, a fabulous Continental food market on Broadway, “Accrington Pals” uniformed actors giving talks throughout the day, and a live World War II re-enactment commemorating D-Day. 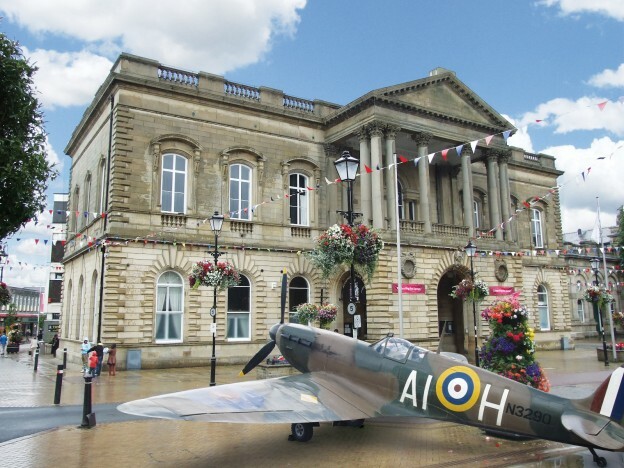 Another heritage highlight this year will be a Spitfire, the iconic fighter aircraft of the Battle of Britain, on display in the town centre. Visitors will be able to view the historic aeroplane at close quarters and have their photo taken next to it. 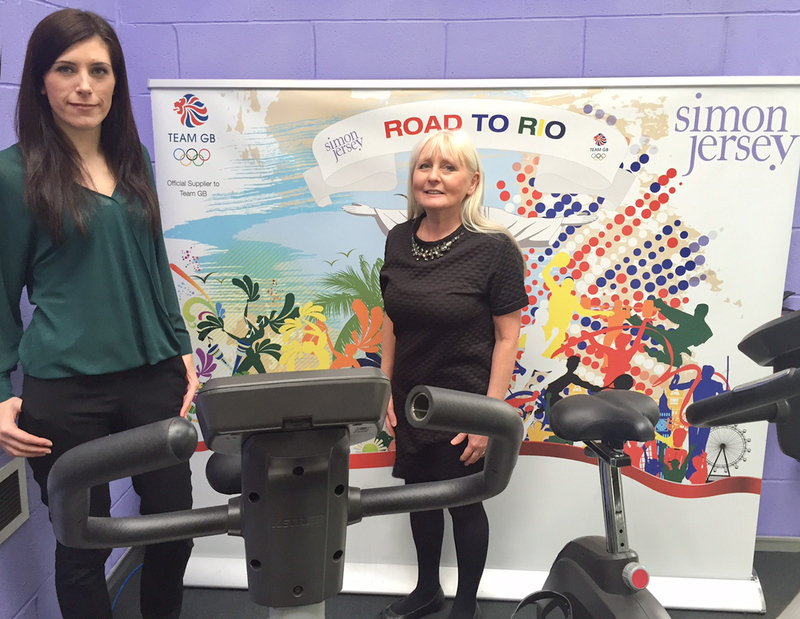 Two Gold Sponsors have already been secured for this year’s event, helping make it even bigger and better than 2015. The first is one of the UK’s leading suppliers of uniforms, Altham-based Simon Jersey, which is celebrating 45 years in the area as well as sponsoring Team GB for the Rio 2016 Olympic Games. and with MD Jim Harness (left) and Operations Director Gareth Lindsay from NLTG. 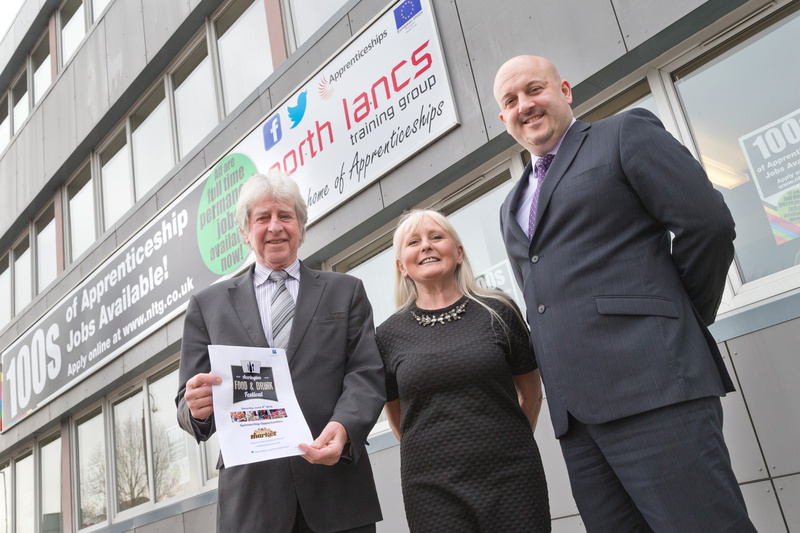 The second Gold Sponsor is one of the UK’s largest training providers, North Lancs Training Group, which has been training and supporting young people through apprenticeships and other vocational programmes for more than 45 years. With one of its two Vocational Centres of Excellence based in Accrington, it has strong links with the town and was keen to support its flagship food festival and participate with its catering students. The event will once again take place in Broadway and in and around the award-winning Market Hall. Back by popular demand is celebrity chef Richard Fox, who will perform live cookery demonstrations in an outdoor cookery theatre on Broadway and host other demonstrations by local restaurant chefs. Another huge hit last year and set to return for 2016 was a live World War II re-enactment by the North West Military Collectors, which saw Germans and American GIs locked in an action-packed skirmish in the usually peaceful grounds of St James’ Church. This year also marks the centenary of one of the darkest days in Accrington’s history, when the famous “Accrington Pals” battalion suffered devastating losses on the opening day of the Battle of the Somme, during the First World War. It will be commemorated at the food festival by various displays and activities, including uniformed Accrington Pals actors. Children can once again join in the fun with activities including the popular cake decorating competition, and once again a vintage double-decker bus will transport people to the festival free of charge from pick-up points across Hyndburn. This will be the second year that the Accrington Food and Drink Festival has been organised by Scott Dawson Advertising (SDA) as part of its civic pride initiative, working in partnership with Hyndburn Borough Council and the Town Team. Murray Dawson, from SDA, said: “Last year’s revived Accrington Food and Drink Festival was a great success and we want this year’s to be even better. Having a tank parked in the town centre as part of the D-Day commemorations proved a very popular attraction so we wanted to go one better this year and have a Spitfire on display. This entry was posted in event management, events, food festival, Hyndburn Council, Scott Dawson, Shop Local, WW1 on January 22, 2016 by admin.